Our architecture, building and construction degrees will give you the skills to imagine and shape quality environments for living, working and playing. This rapidly evolving industry faces an international drive for bigger, more complex building solutions. Advances in digital technologies are changing the ways buildings and spaces are designed and built. You may end up building or dreaming up all sorts of life-changing structures, from houses to multi-storey high rises, factories or freeways. You may use your creative flair and imagination and move into fields such as architecture or industrial design, or use your logic, planning and rational thinking and move into a field like construction management or civil engineering. 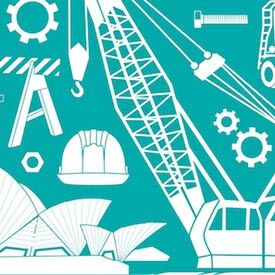 Why study architecture, building and construction at UON? Most industry-led degrees in Australia, with partnerships with leading companies in the industry informing teaching and providing work experience opportunities. Make a difference working on projects with social impact. Like helping Indigenous communities in Alice Springs or designing and constructing facilities to help improve sanitation in Nepal. Study a unique degree like Construction Management which incorporates a Disaster Management course partnered with United Nations – the only course of its kind in Australia. 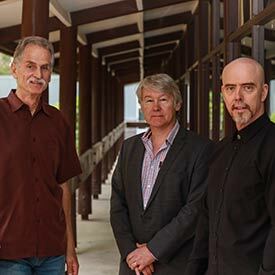 Learn from the best with six AIA gold-medal winning Architecture professors in practice. Or academic Trevor Hilaire who negotiated a $2.6 million-dollar agreement with world-leading construction industry software providers, Buildsoft. Video: Lily is designing for social justice through architecture. We understand that sometimes you don't know exactly which degree or course you'd like to pursue, but you know which field or major excites you. Use these areas of interest to narrow down your study options based on your interests and career goals. Architecture is the study of designing buildings and spaces. Architects don’t just design and shape the physical spaces of our cities and buildings; they use architecture to stimulate the places we live and work, engage the community and improve our world. Architecture is now, more than ever, part of the public consciousness and immersed in popular culture through frequent glimpses in movies, advertising campaigns, TV shows like Grand Designs, and the rise of celebrity architects. Studying a degree in architecture can take you to unexpected opportunities. 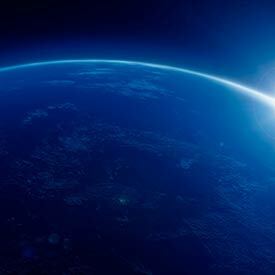 The surveying degree focuses on the measurement, management, analysis and display of spatial information describing the Earth and its physical features. The work of surveyors know no bounds and could see you play an important role not only within your local community, but also across countries and continents. Locally you could be involved in projects like preparation for building of a new tunnel or mapping of flood areas for disaster preparedness. Globally your work as a surveyor could see you involved in the prediction of earthquakes and mapping of the ocean floor. Construction managers plan, lead and coordinate projects – they play no direct role in hands-on building. By studying a degree in Construction Management, you will learn how to schedule and coordinate all of the design and construction processes including selecting, hiring and supervising trade contractors. You will also learn the requirements for handling the legal and financial aspects of construction projects. Civil engineers are responsible for the physical infrastructure that enables modern societies to function. Buildings, highways and railways, tunnels, airports, power generation facilities and harbour facilities are all designed, built and managed by civil engineers. With the study of civil engineering, you could engineer energy-efficient buildings, or help develop sustainable and resilient infrastructure in developing countries. Or perhaps you’ll design Australia’s first high-speed train network to connect communities and reduce carbon emissions. Studying a combined degree in civil engineering or surveying and a related field gives you two qualifications at once. The advantage is that you graduate with two degrees in less time than doing them separately. You may also get an important boost in the employment market as employers are increasingly looking for staff with diverse skill-sets. Our architecture degree culminates in spectacular public exhibitions. UON’s School of Architecture and Built Environment has a forward-thinking focus on managing, designing and planning for resilience in our built environments. 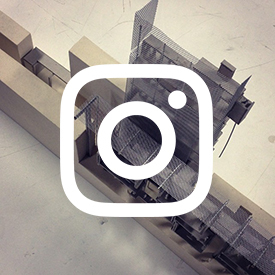 Follow us on Instagram for a look at some of our architecture events and exhibitions. Construction management explained. A lot of work goes into constructing a building, but how is it all managed and facilitated? Connect with our construction management community. Our academics are finding new ways to manage waste in construction.